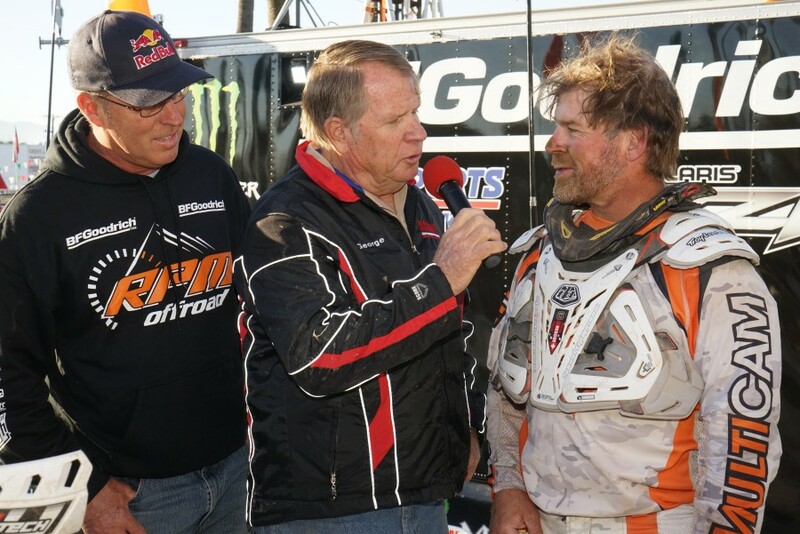 The 48th SCORE International Baja 1000 is in the record books and it proved to be a very successful one for Team MultiCam rider, Jeff Benrud. The Baja 1000 is the longest point-to-point off-road desert race in North America where the participants will race from start to finish throughout the approximately 1000 mile distance only stopping briefly for pit stops. 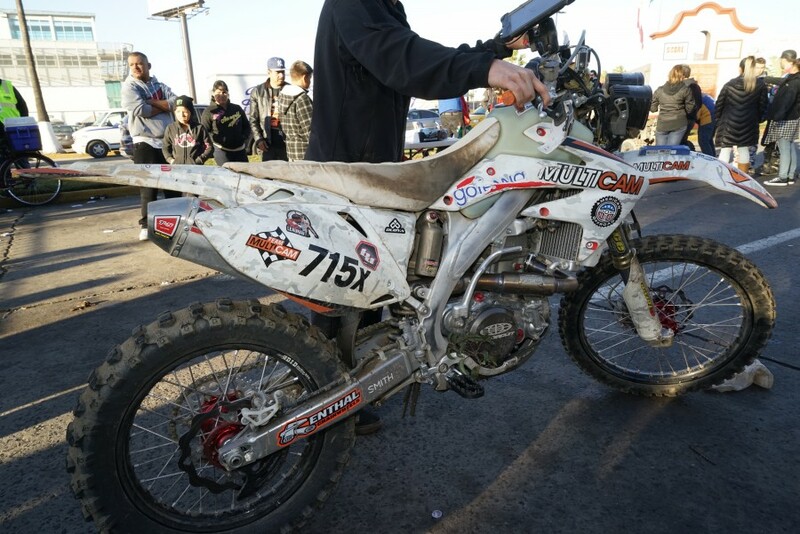 This was Jeff’s 3rd Baja 1000 with the previous 2 as part of a relay team on a dirt bike. This year, however, he soloed the entire race. Jeff is an Army Special Operation veteran and now teaches defensive and offensive driving capabilities to the military special operations community at American Offroad with his business partner and off-road racing legend, Ricky Johnson. Jeff Benrud on the start line. Jeff’s military and off-road background more than prepared him for what he had to endure during the entire race, but Baja never makes things easy. A week before the race the entire team headed to Mexico to help Jeff prepare for the race by pre-running the majority of the course, which can be as dangerous as the race itself. He had help practicing with his handlebar mounted navigation system supplied by LeadNav, which allowed him to focus on the terrain and note any problem areas of the course. 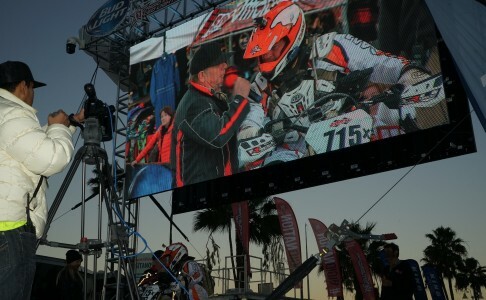 With 3 days of practice under his belt, the team headed back to Ensenada to prep for race day. Jeff headed out at 6:30 am on Friday morning on his #715x MultiCam Alpine wrapped Honda CRF450x knowing that he would have to keep fast pace but also conserve his energy to actually finish the race. 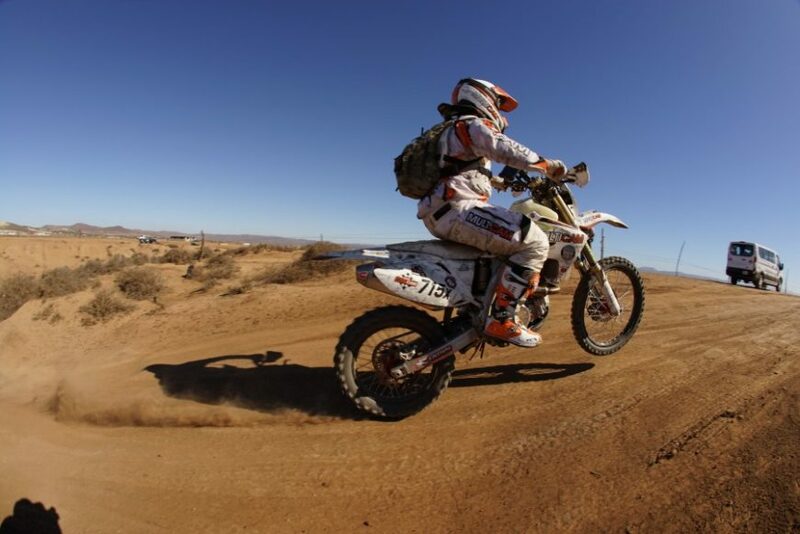 This year’s course was almost 900 miles of some of Baja’s most rugged terrain. With jagged rocks, loose sand, powdery silt beds, technical hill climbs and even more technical descents not to mention livestock roaming freely, danger is literally around every corner. 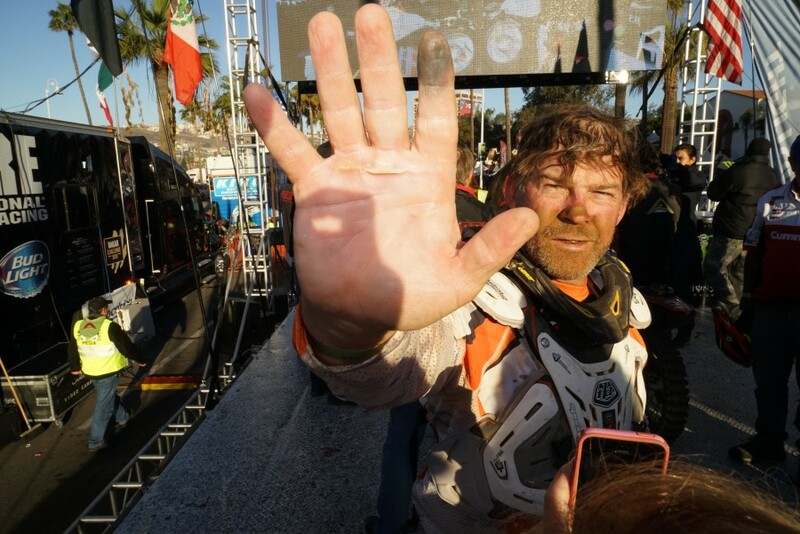 However, Jeff was managing to push through everything that the Baja 1000 threw at him. 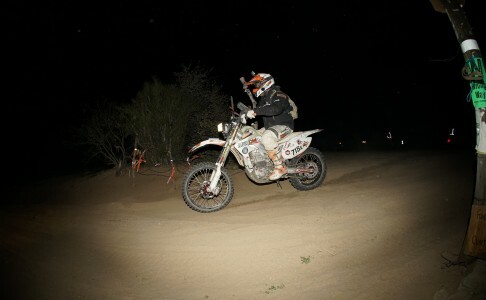 Mechanical issues during a 350-mile stint between pit stops during the evening slowed Jeff down a bit but once he met up with the crew the bike was readied for the late night stages with new wheels, a jacket, and illumination in the form of his Baja Designs headlights. The race has 250 competitors riding on and driving in everything from dirt bikes to high horsepower trophy trucks, which started a few hours after Jeff. This added another element of danger during the night stages as the trucks began to catch up with the bikes and pass them doing 120mph in some sections. Jeff knew to yield to them and focus on his race as he got closer and closer to the finish line. 21 hours and still going. As dawn broke, the crew and Jeff’s immediate family were at the finish line to witness him finish the race in just under 25 hours. He was tired, worn out and had blisters running the width of his palms but was overjoyed at even finishing the race. While he technically finished the race in 1st he was penalized in some of the road sections for speeding a bit and ended up officially in 2nd. Nothing, however, can take away from Jeff Benrud’s accomplishment of completing this incredibly difficult race nor can it take away from our pride in being able to support him and his efforts. Jeff is not only a hero but also one of the toughest men on the planet. Thank you to Safariland Group, LeadNav, Baja Designs, American Offroad, G Force Racing, Troy Lee Designs, Smith, Dubya Wheels, Golden Tyre, goTenna, Crye Precision, Benrud Rentals and Heartland Contractors for all their support.